Phillip Philbeck continues his sojourn in the West with this beautiful landscape. The majestic mountains form an incredible backdrop for the meandering river and the forest standing tall along the bank. The snows have melted and are feeding the landscape. 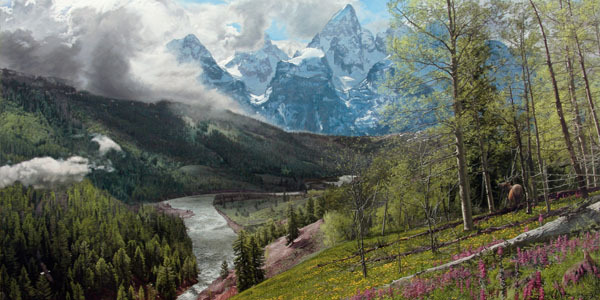 Soon, the glories of "Springtime in the Tetons" will be evident for all to see.